Driving thrills you. And when you’re behind the wheel of a legendary racing mogul, nothing can stop you from hugging the curves and accelerating along the open highway. The only thing that makes this feeling even more intense is when you’re equipped with all the technology needed to get your favorite tunes reverberating off the walls of the cabin. This sensation, and much more is exactly what you’ll discover inside the MINI Cooper Clubman ALL4. The force found in this vehicle calls back to its heritage as a race track warrior and includes a few appointments that make it even agiler in any condition. 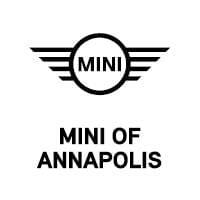 So, let’s get into our positions at the starting line and wait for the wave of the checked flag as we venture into this MINI Cooper Clubman ALL4 review, created by MINI of Annapolis. Before long, drivers in Annapolis, Highland Beach, and Hillsmere Shores will be leading the pack across the finish line. Download your free guide to receive special offers! When you harness the power of the MINI Cooper Clubman ALL4 with its 1.5L turbo engine, you’ll truly feel what it’s like to fly along the road. With an impressive 134 horsepower and 162 lb-ft of torque, you’ll soar to 60 MPH in just a few breathtaking seconds—9.2, to be exact. Meanwhile, your car will stick to the asphalt in icy or slippery conditions with its standard all-wheel drive. And while you’re operating a vehicle with this kind of racing history in its bones, it’s no surprise that a 6-speed manual transmission comes standard. This system allows you to have the ultimate control over every move your car makes. However, if you’d prefer to let your roadster do the work for you, an 8-speed automatic transmission is optional and offers the same agility that you’d find with the manual setup. On top of that, a selection of unique driving modes comes standard and allows you to switch between Sport, Green, and Mid with the flick of a shiny, chrome switch. With this feature, you can customize your drive to suit your mood. While your MINI Cooper Clubman ALL4 zooms along the highway, having a suite of entertainment and connectivity options is a must. To get you there, this vehicle comes equipped with the intuitive MINI Connected system to link to any type of information you need at a moment’s notice. From the standard 6.5-inch or optional 8.8-inch touchscreen, you can quickly access Pandora®, Spotify®, and lots more. Plus, your car will even seek out and maneuver available parking for you with Parking Assistant. Once the system measures the space, it’ll autonomously steer and move your vehicle into the spot. This amenity is especially helpful when it comes to those tricky, city parallel parking situations. And when outfitted with the optional navigation display, your ride provides you with real-time traffic updates so that you can reach your destination as fast as possible. 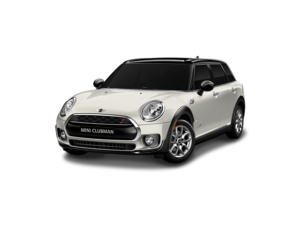 To ensure that you and your friends stay protected during any drive, the MINI Cooper Clubman offers a host of optional safety and driver-assistance tools. In addition to this car’s all-wheel-drive system, Dynamic Stability Control is available and employs sensors to measure your steering angle and acceleration. If this gadget detects loss of traction, it can actively apply the brakes to certain wheels. That way, you’ll always know that your car will keep you secure on the road. As if that weren’t enough, the MINI Cooper Clubman ALL4 provides the option of a Head-Up Display, which projects important information onto the windshield at your eye level. With this amenity, you can easily see your navigation directions, speed, and more. Embrace the Road in Your MINI Cooper Clubman ALL4! At MINI of Annapolis, we can’t wait for you to try out all the finely appointed details inside the cabin of your MINI Cooper Clubman ALL4. Once you get a taste for life in the driver’s seat of this speed expert, you’ll be setting off on new adventures throughout Annapolis, Highland Beach, and Hillsmere Shores in no time. Start your next journey by heading over to our showroom or scheduling your test drive today!